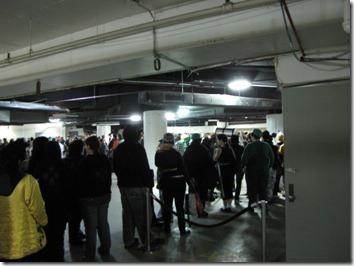 Katsucon – Day 1 – How Do You Figure? 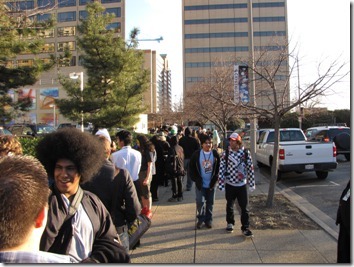 With the final day approaching, I think it’s time to summarize my experience at Katsucon 2009. We arrived in DC at around 4pm, after the 7 hour drive from Charlotte. Once we got checked in to the hotel, we made our way to the registration line, only to discover that it had snaked around the hotel, through the lobby, out the door, and down the street. Apparently, there was some “logistical issues” that prevented registration from moving smoothly. It also turns out that those that were buying their passes at the door were granted easy access. Oops. Given that there wasn’t much of a choice in the matter, we stood at the end of the line. While it wasn’t the typical DC February weather, it was far from a tropical day. The presence of sun made it bearable, but the approaching nightfall did not bode well for those of us still standing outside. 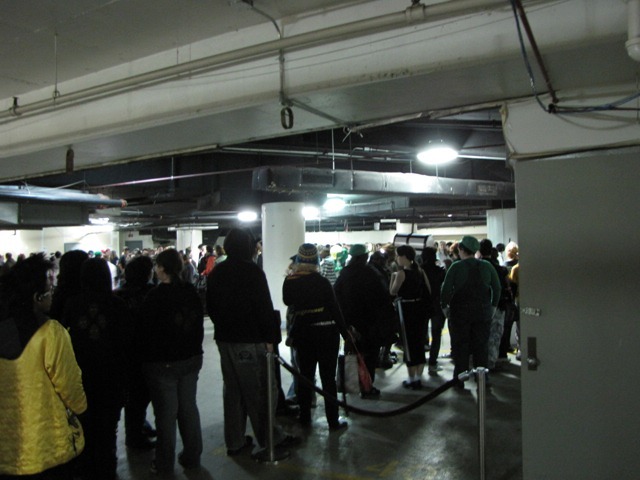 Fortunately for us, convention organizers recognized this as an issue and herded us into the underground parking garage. For better or for worse, this became our home for the next several hours. Small groups would be taken in to the registration area for processing but progress was extremely slow. We didn’t reach the pre-staging area until around 6pm. Almost an hour later, we had our badges in hand and were ready to go. Since we had gotten such a late start, there wasn’t much left to do besides go to the AMV screening. Most of the videos were fairly blah, but there’s always the one that is the clear leader. This year, it was an interesting pairing of Dragonball and the Sailor Moon piano arrangement. The video was titled “Dragonball: the silent film” and featured every single possible cliché from Dragonball Z. This video is so full of awesome, I’d recommend watching it. It’s available on YouTube. The AMVs pretty much ended our first day at Katsucon. Before we turned in for the night, we spied a group of girls in some great costumes. I’ll let the picture speak for itself.